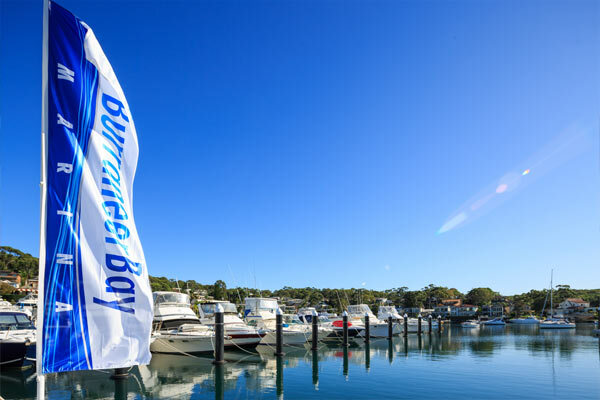 Burraneer Bay Marina prides itself on being able to make boating as enjoyable and simple as possible for our customers. 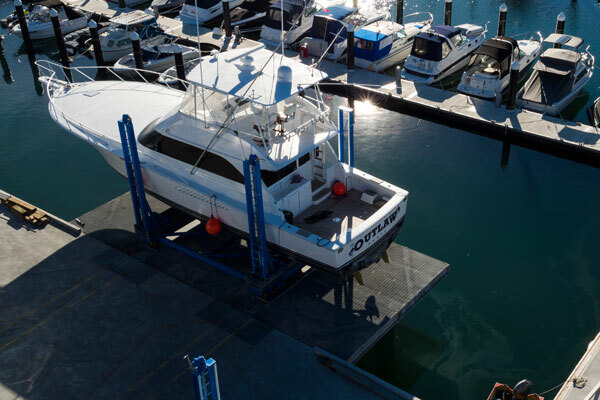 Being a one stop shop for all things marine means you spend more time enjoying your boat while our professional staff and contractors maintain it. 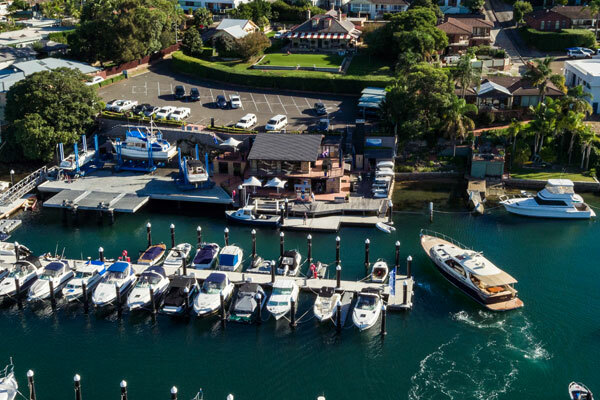 After completing our major development in 2016 Burraneer Bay Marina is proud to provide the most state of the art marina berths on the Port Hacking. 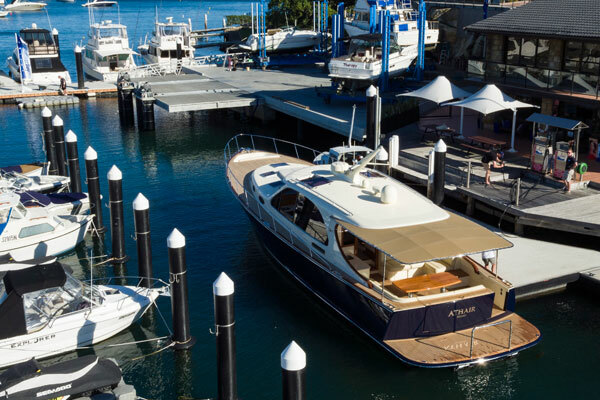 Offering 100 berths for boats ranging from 15ft to 60ft there is a berth that is perfectly suited to you boat. 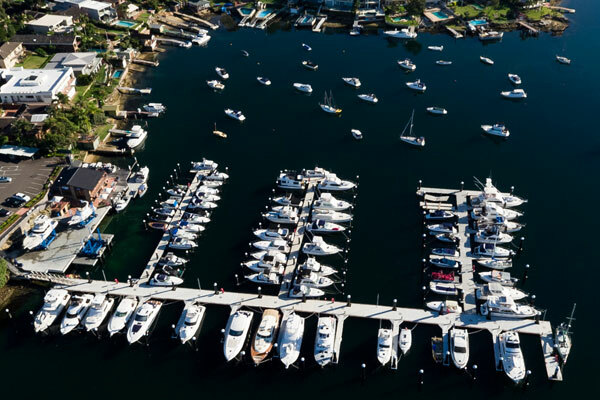 Our southern arm is 147m long and 4.5m wide and fitted with a wave attenuator which offers the entire marina protection from the south. 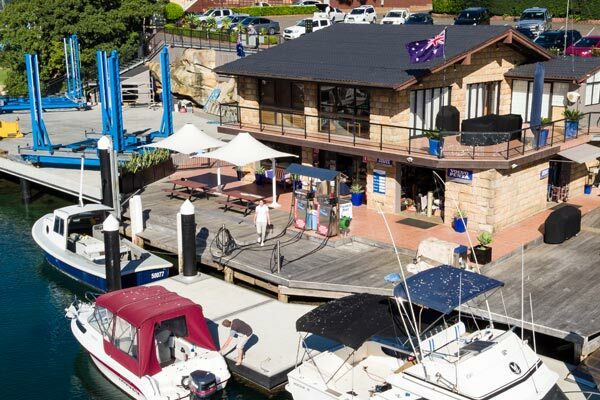 With land to the North, East and West Burraneer Bay Marina is provided with protection all year around. 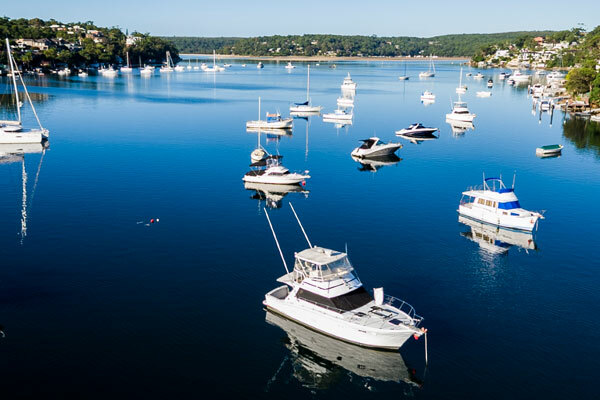 For those who’d prefer a mooring we have 32 available for boats up to 50ft. 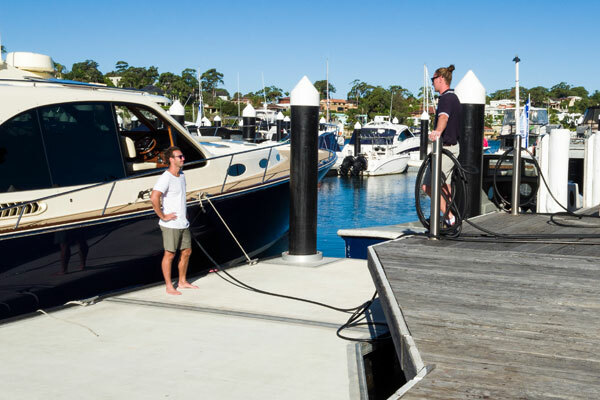 With a dinghy rack for our mooring customers and floating dinghy launch pontoon, getting to your boat is easy. 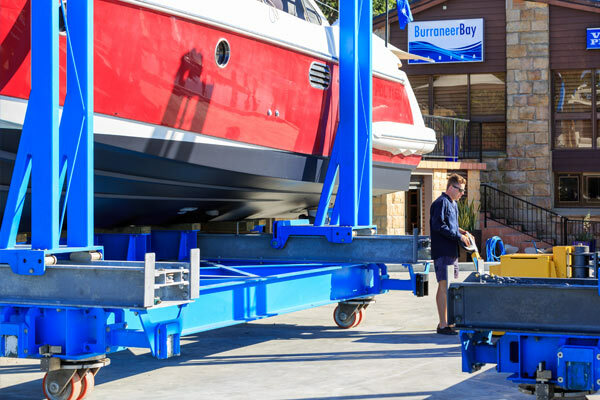 In 2016 Burraneer Bay Marina installed one of the most advanced and state of the art boat lifts in Australia. 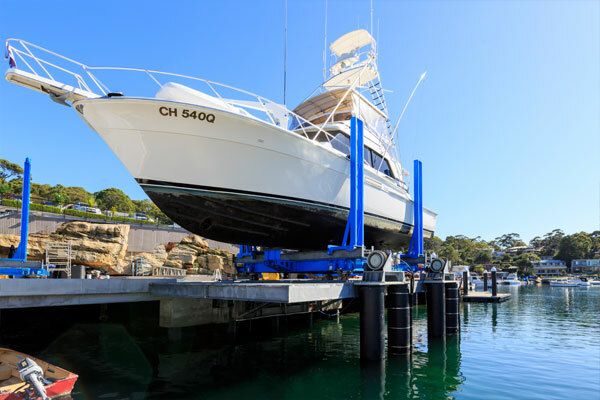 Utilising 4 electric winches the boat lift is capable of lifting up to 50ton in a seamless, safe and impressive manner. 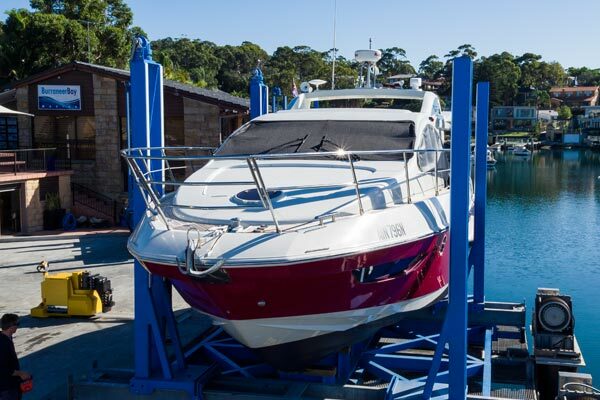 Watch the video on the right to check out the lift in action. 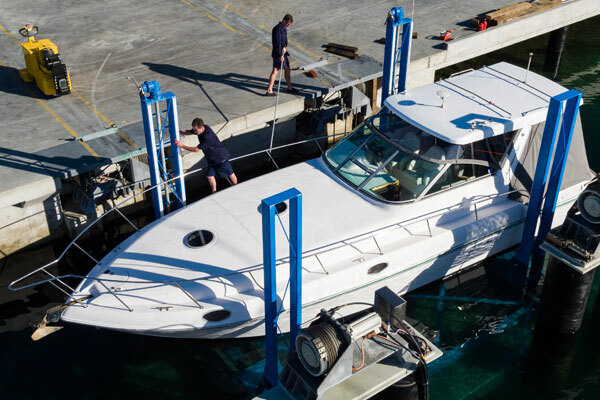 Our anti-fouling team are some of the best in the business. 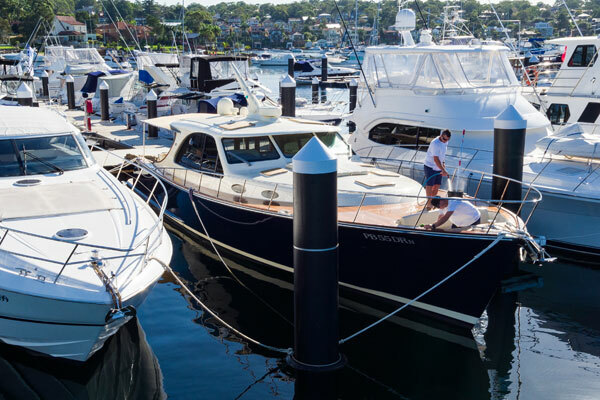 With over 20 years’ experience and only using quality International products you can rest assured that your boat is getting the best treatment year on year. 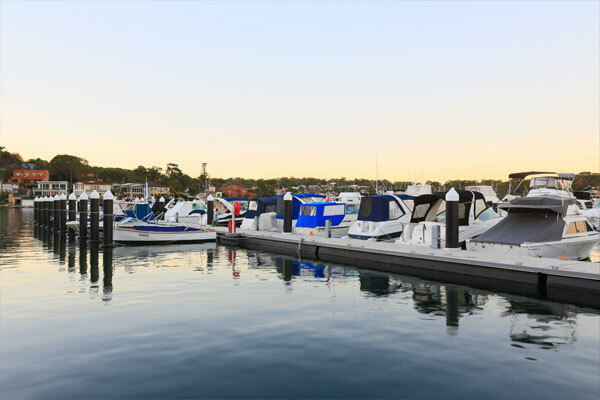 With the new hardstand capturing then treating all run off, Burraneer Bay Marina has the most advanced and environmentally friendly anti-fouling operation on the Port Hacking. 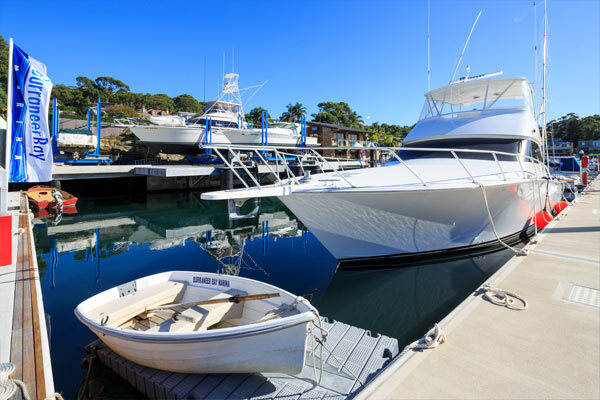 Our Boat Brokerage has been taking care of customers boating buying and selling needs for many years. 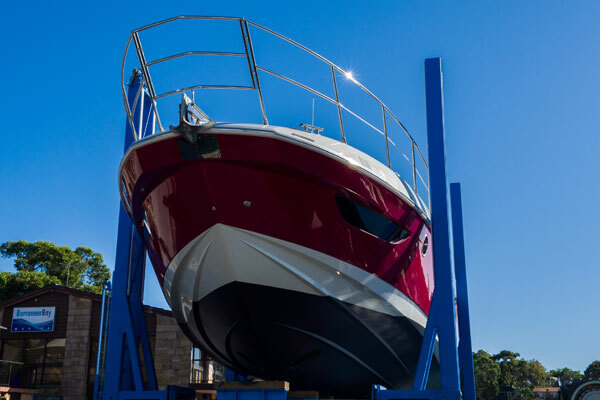 An extensive customer following and consistent repeat business is a testimony to our ability to put the right buyer in to the right boat. 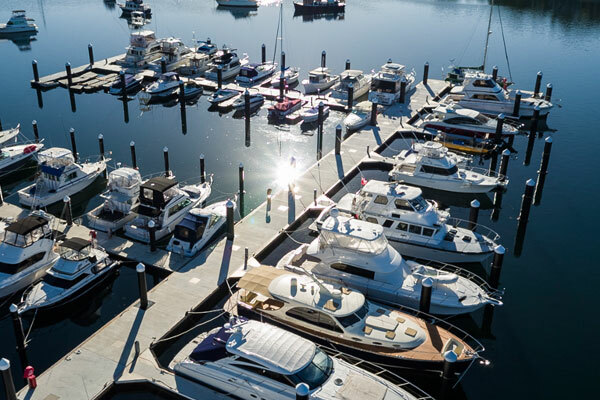 With a great range of boats available along with proven sales results our Brokerage Team can make your boat buying or selling process a breeze. 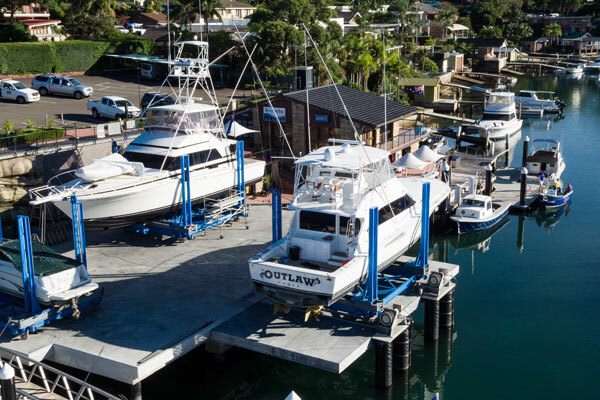 Here at Burraneer Bay Marina we want you to spend more time enjoying your boat and less time maintaining it. 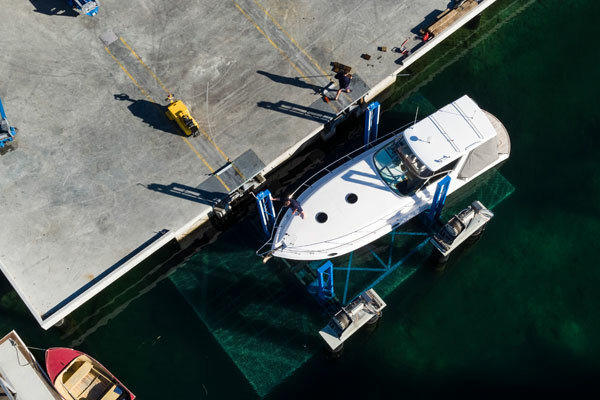 We therefore work closely with an extensive list of trades to look after your vessel including; Detailing, Marine Engineers, Fiberglass and Gel Coat Repairs, Covers, Electrical, Mechanical and Shipwright Services. 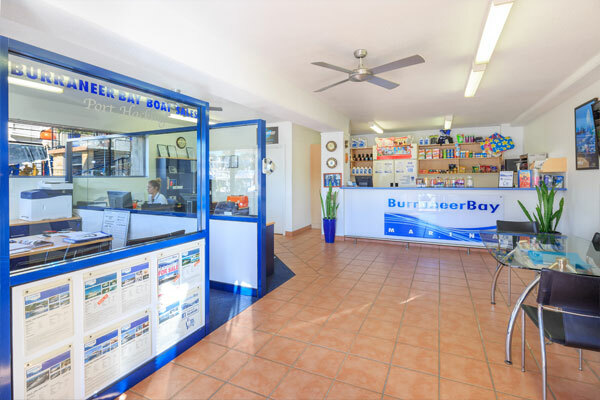 Curabitur at consectetur augue. 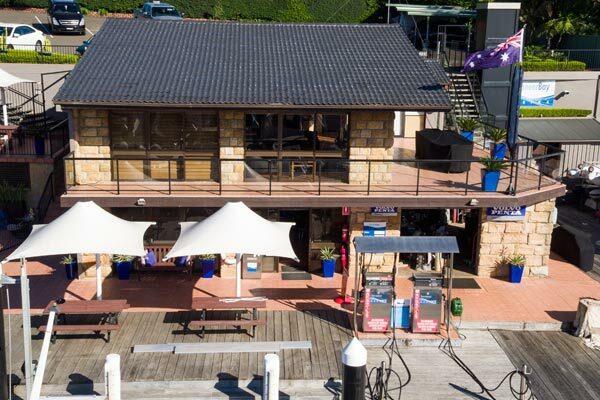 Donec pulvinar purus et massa fermentum, eu gravida arcu tempus. 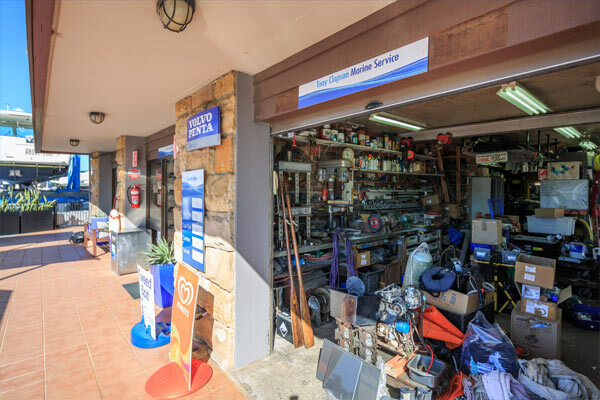 Nunc tristique non erat et mollis. 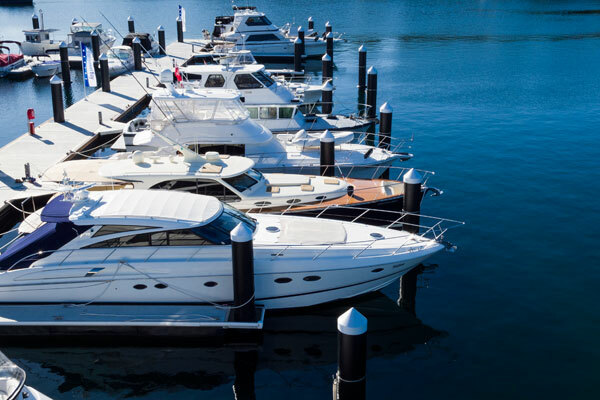 Sign me up for the Brokerage newsletter! 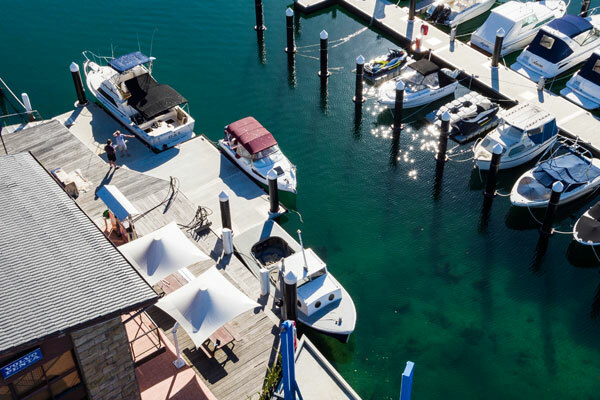 © 2019 Burraneer Bay Marina All Rights Reserved. 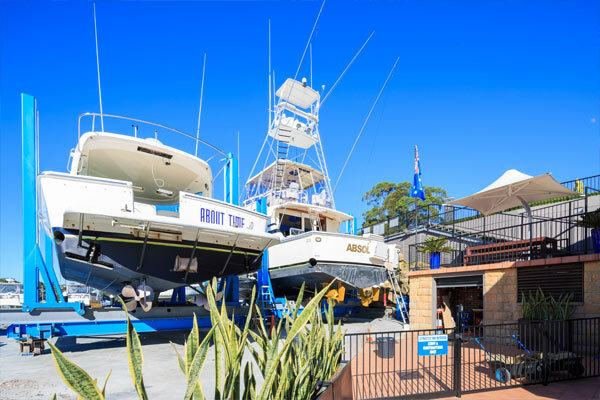 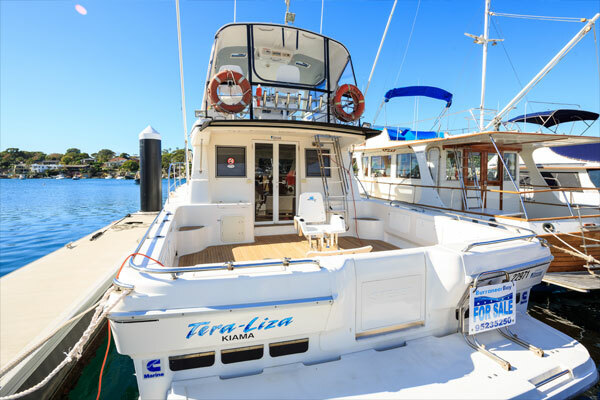 …including Port Hacking news, events and stories, general boating tips and a sneak peek at the latest boats for sale before they hit the market!